Additional fights in the tournament include Jon Fitch taking on Neiman Gracie and Ed Ruth against Yaroslav Amosov. Rising prospect Michael “Venom” Page and Lorenz Larkin were announced as well, but their opponents weren’t announced at this time. The 10-fighter tournament will play out over the next year exclusively on DAZN. MacDonald is also in the tournament and will make his debut in 2019. Other names will be revealed at a later date. Lima (29-7) is a two-time welterweight champion. He won the title from Rick Hawn at Bellator 117 but lost it to Koreshkov in his first title defense at Bellator 140. He won the title back in the rematch via thrid-round TKO at Bellator 164 on Nov. 10, 2016. 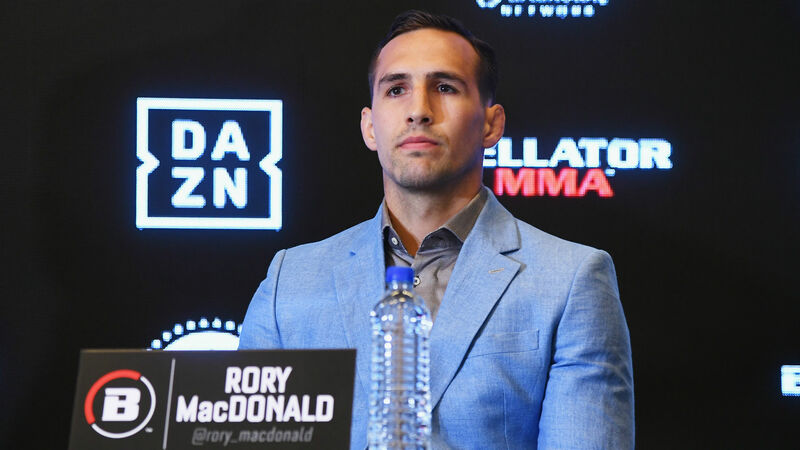 He defended the belt one time before losing to MacDonald at Bellator 192 in January. Ruth (6-0) won three straight NCAA wrestling championships for Penn State from 2012 to 2014. He signed with Bellator in 2015 and made his debut Dustin Collins-Miles at Bellator 163 in Nov. 2016. Ruth fought at June’s Bellator 201, beating Andy Murad by second-round TKO.